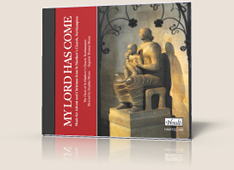 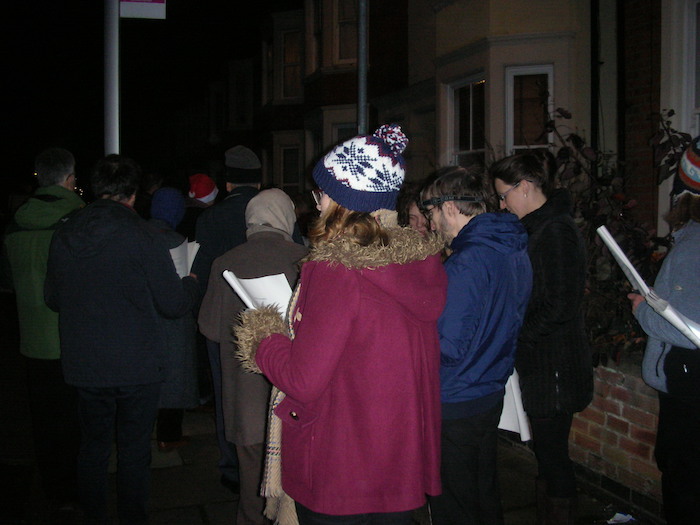 Around thirty intrepid singers from St Matthew’s choir and congregation set out on this now annual event to sing Christmas carols around the Parish. 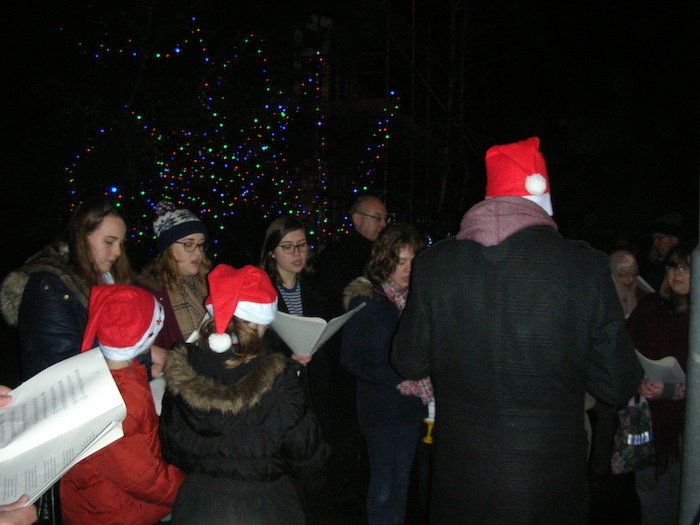 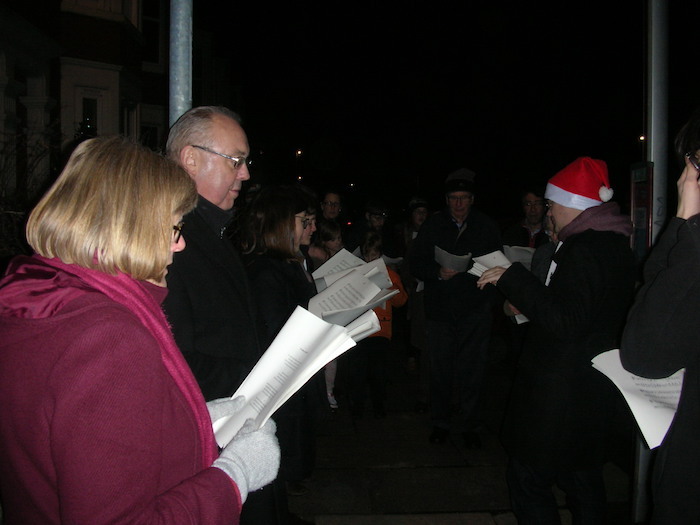 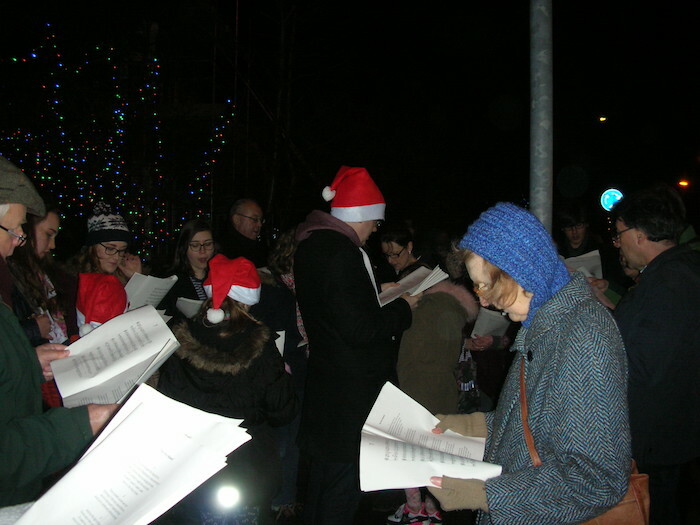 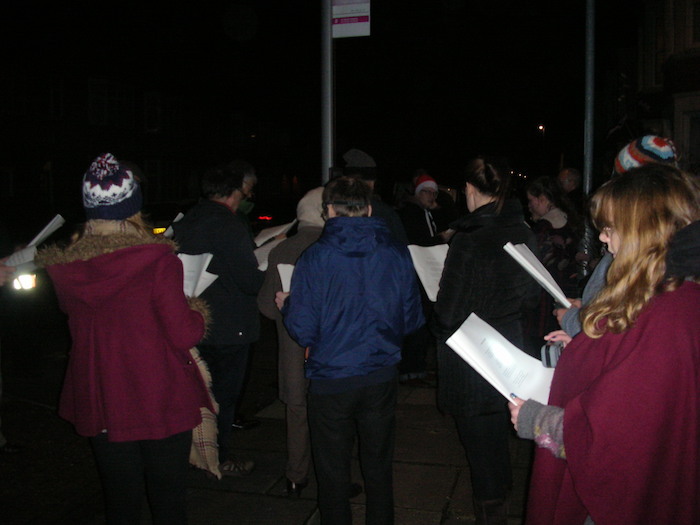 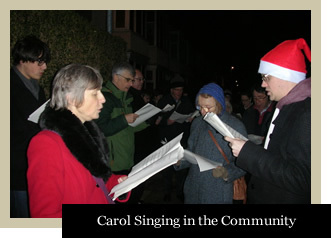 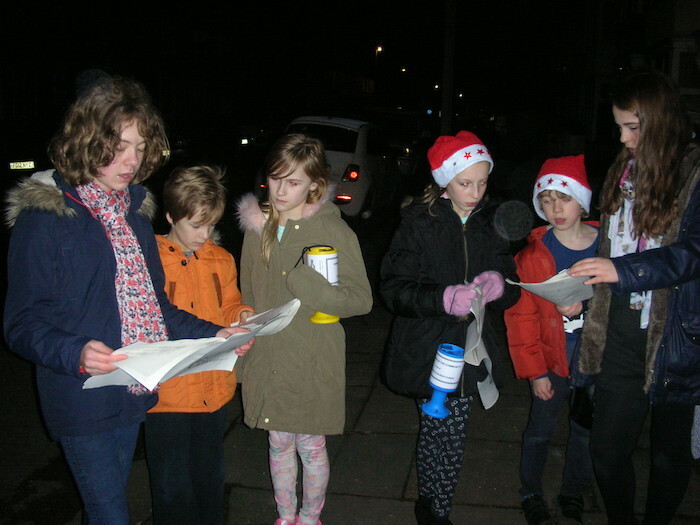 On a dry but chilly evening we departed the Parish Centre, carol books clutched tightly in hand, and stopping at least twice in every street, we sang a selection of carols to the residents of Broadway, Park Avenue North, Ashburnham Road and Collingwood Road. 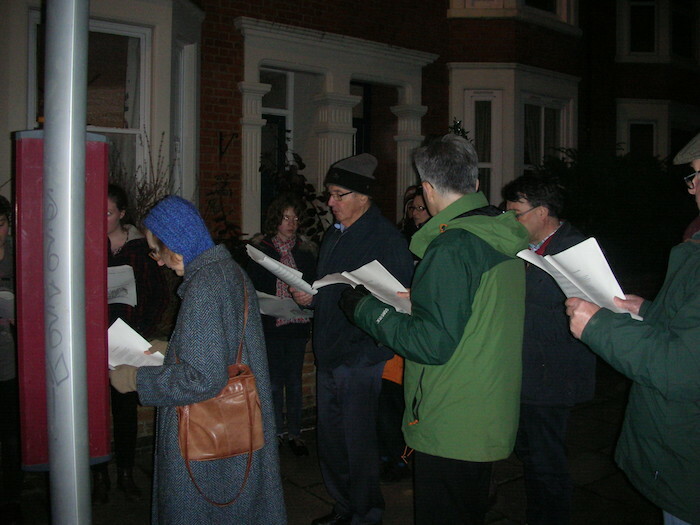 Many people came out from their houses to listen to us and enjoy the music, with some rapturous applause from the house where a party was clearly in progress! 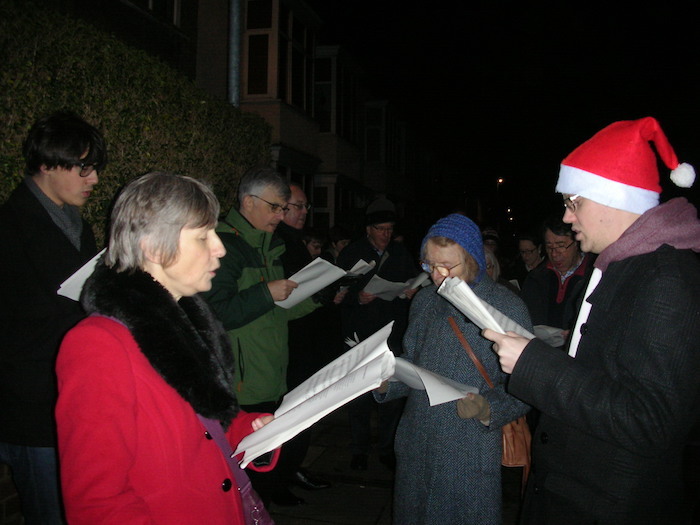 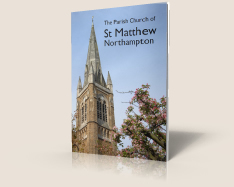 money for church funds, but we were all pleased to be able to take a bit of St Matthew’s out into the community. 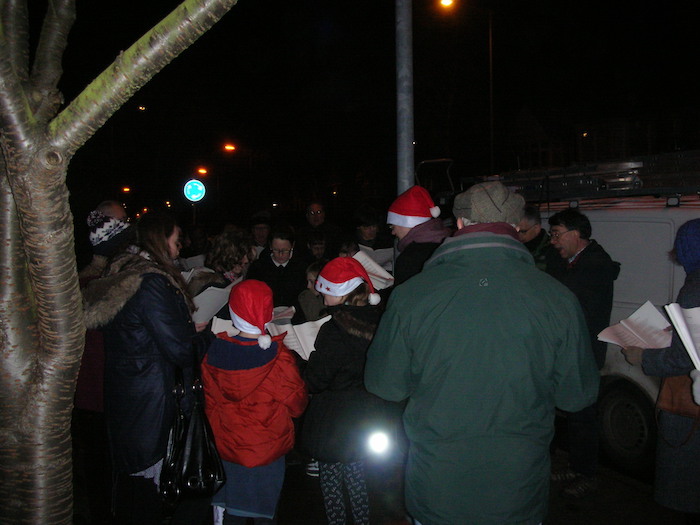 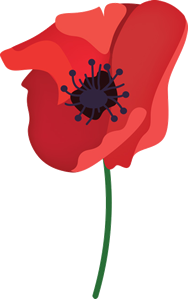 After an hour and a half we returned to the Parish Centre for welcome and warming refreshments prepared by the FSMM committee. 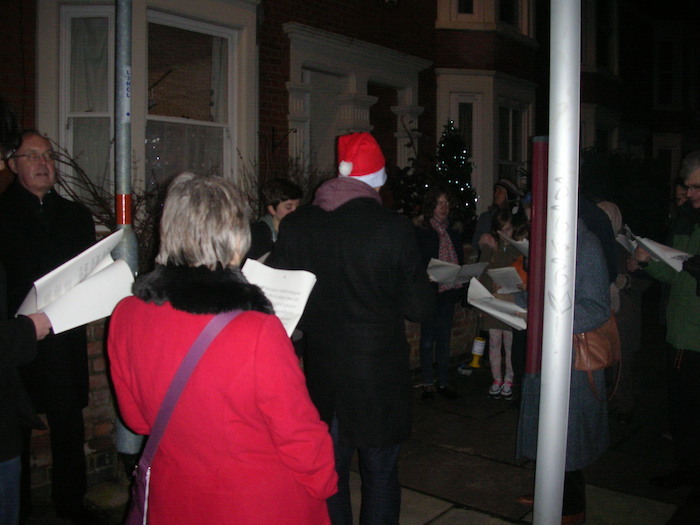 Look out for us again next year – we may be visiting your street...!